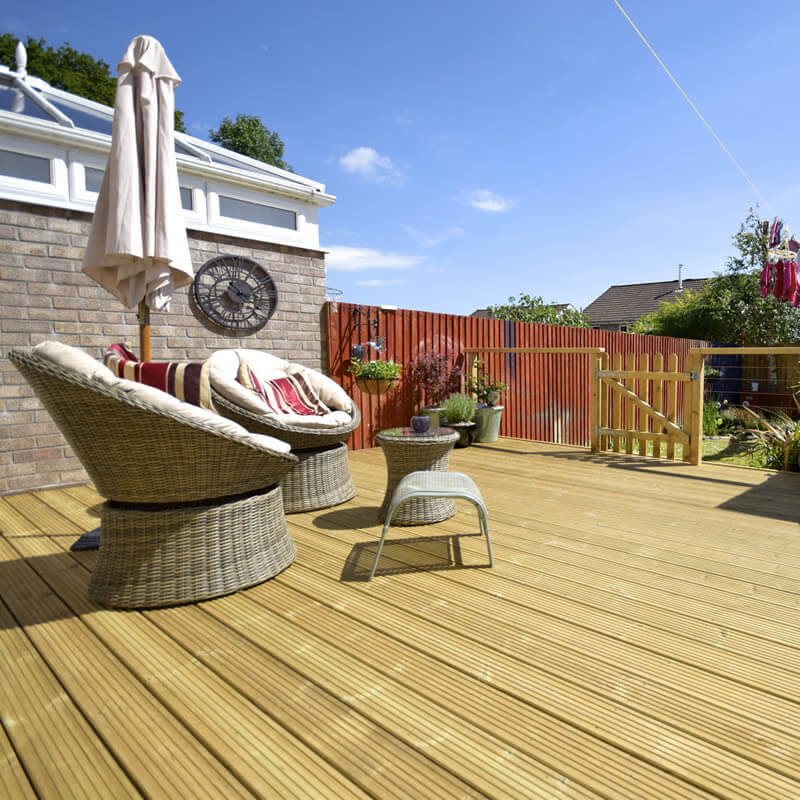 Our Premier decking boards are machined from kiln dried nominal sized 38mm x 125mm redwood boards with a finish size of approximately 32mm x 122mm. After machining the redwood decking boards are pressure treated with next generation Tanalith E preservative. All the boards are normally sourced from Scandinavia with the exception of the 6.0 metre boards which come from Russia. The timber treatment is conducted in Britain under rigidly controlled vacuum pressure timber impregnation plant. 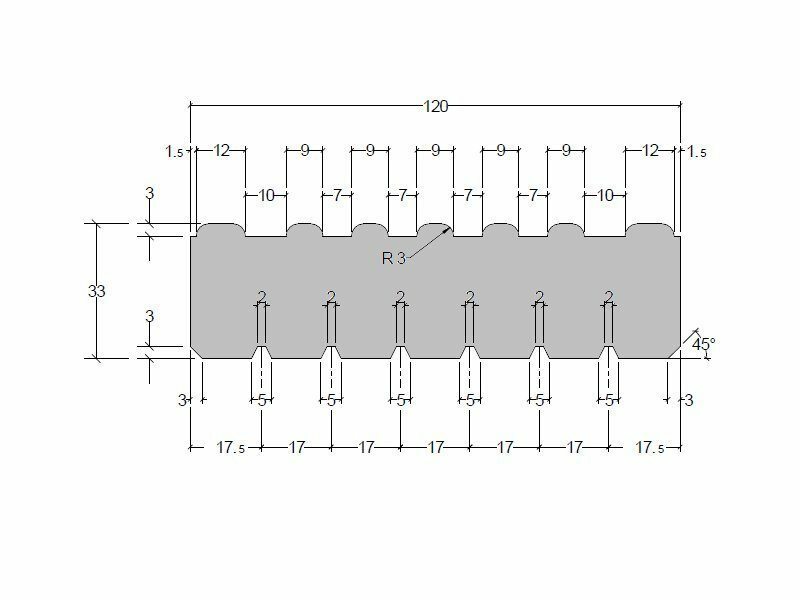 This stringent manufacturing process has been approved by Lonza Chemicals and means these deckboards are eligible for a 15 Year Manufacturers Warranty. 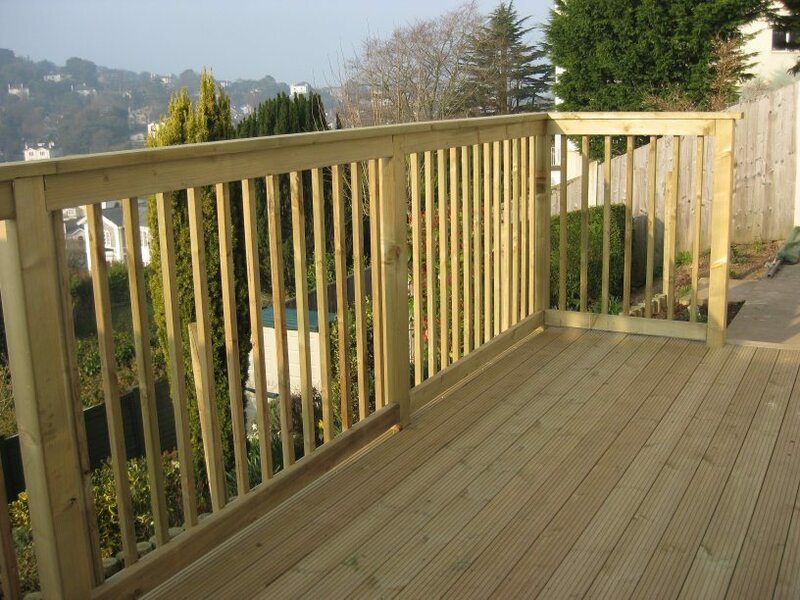 We have carried this profile of deckboard for over 10 years, it has proved very popular due to the price, quality and the range of lengths available. 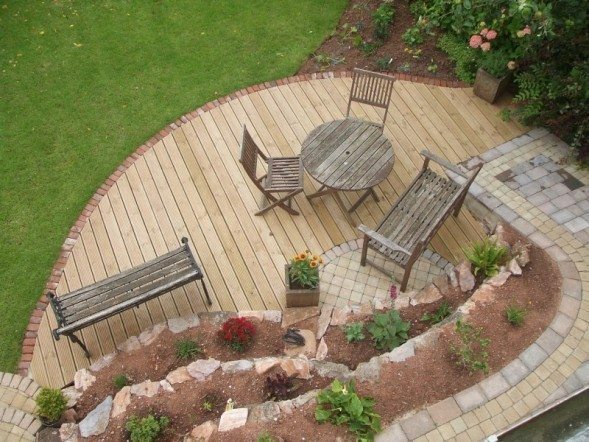 These deckboards are machined from a quality Scandinavian redwood timber with tighter growth rings and greater density than timber used for fencing & carcassing products. When designing your deck you might consider incorporating some smooth 38 x 125 deckboards. This might be purely for aesthetic reasons or to highlight changes in deck level. They can also be used in larger decks where it is not possible to cover a full run. For example a 12 metre run could be divided into areas of 3×4 metres by using smooth deckboards as dividers. 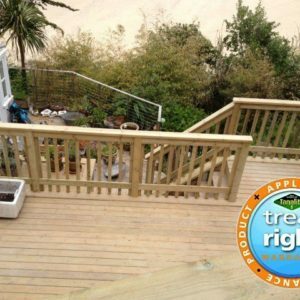 Our premier decking boards are pressure treated with Tanalith E. They start as a light green colour but mellow to a light honey brown after being exposed to a few weeks sunlight. After 18-24 months they will change to a grey colour which is perfectly normal. 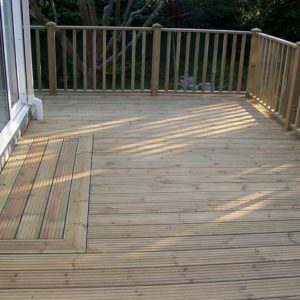 Give the decking a gentle wash with a hose and then brush away any debris or algae that might have established itself. Do not use pressure washers on anything other than a gentle setting, otherwise the boards may fir up and make the algae situation worse. 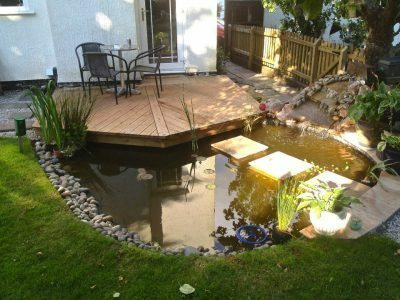 Ideally use a good quality decking oil to act as both a water repellent and to slow down algae growth. 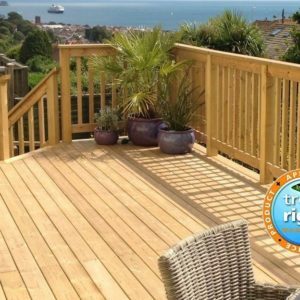 At Southern Timber we recommend Osmo, Liberon and Rustin decking oils. Full terms and conditions for this Manufacturers Treatright Warranty are available on request. You will need to comply with these conditions to be eligible for the Manufacturer warranty. Southern Timber is not a party to any warranty offered by the Manufacturer, so cannot accept any liability.